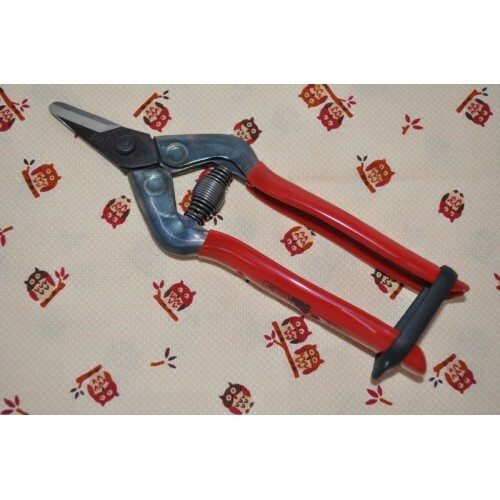 Short bladed snips made from high carbon steel. Blades can be sharpened using a Saboten tungsten carbide sharpener. Spring is designed to be comfortable for all day use. For harvesting Melons, Pumpkins and Cantelopes. Overall length - 165mm, blade length - 26mm.